A story with a few surprises! Sophia O’Malley is a gentle, kind, and gifted woman whose life purpose is to assist and help others organize their homes; and by doing so, their hearts and lives. After the death of her husband, she moves to a little town in called Piney Woods. There, she settles into the dream cabin and she her husband had intended to buy before his death. Taking a leave of absence from her work she takes the time needed to grieve and heal. On a warm and sunny spring morning, Sophia gets a call from one of Piney Woods most prominent residents: Eleanor Beaman. Eleanor informs Sophia that she has some work for her to do at her estate. Uncertain if she is ready to return to work, Sophia agrees only because she has become good friends with Eleanor. After arriving at the estate, Sophia is pulled into a deep mystery that involves the past and the present. The mystery begins in a large personal library. 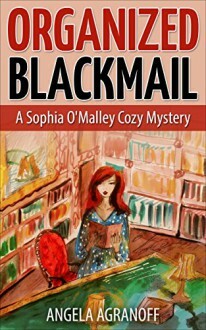 Sophia soon learns that Eleanor had a hidden agenda in hiring her. After learning about the dark secrets of Eleanor husband’s past, Sophia then faces a horrible danger that threatens to kill her. Will her will to love and help those she cares about keep her alive and allow her to defeat the dangers threatening to kill her? Or is this small town professional organizer in over her head?